Hi All, Very excited to announce i’ve launched a brand new class. 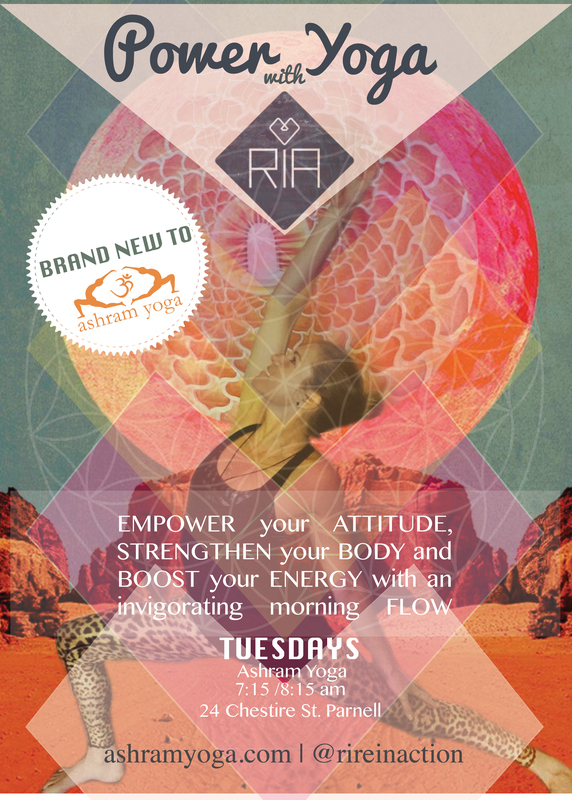 I’ll be now guiding a 60 minute power flow every Tuesday morning at Ashram Yoga in Parnell 7.15 – 8.15am. The studio is stunning with a large mandala in the studio, crystals in every corner, the gentle waft of incense bringing a calming aroma to the space and salt lamps bringing extra ambiance. I’m so honoured they have opened up their doors and their arms for me to offer a power vinyasa class to their timetable! Thank you Tara, Shanti, Atma and the Ashram Team for having me. I’m so excited to have the opportunity to teach locally in Parnell. See you there! The beginnings of Ashram Yoga may be traced back to 1980 when Swami Shantimurti Saraswati came to New Zealand to teach yoga. Since those early days, they have worked ceaselessly for the development of yoga both within New Zealand and overseas. Ashram Yoga’s unique teaching style is based on traditional yoga but also includes the senior instructors’ many years of experience of teaching yoga. They have developed a comprehensive, thorough and effective set of teachings. The range of practices they present are vast and taught from absolute beginners through to becoming an advanced yoga instructor. They are a Registered Yoga School with Yoga Alliance and qualified to teach 500-hour yoga teacher training courses. Ashram Yoga has been conducting teacher training in New Zealand and abroad for over fifteen years. They also run yoga courses, meditation retreats, advanced teacher trainings and a wide variety of workshops. Yoga is our passion and we love sharing it. Ashram Yoga is a registered charity..